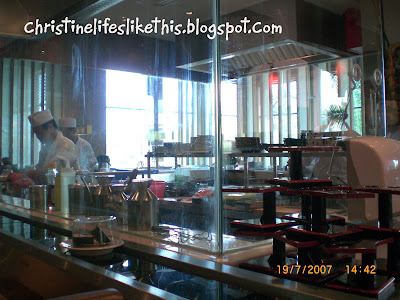 Getting bored with the eatery found at Sunway Pyramid? 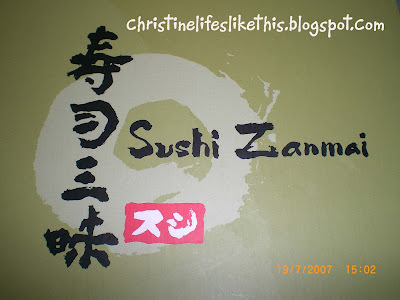 Then try Sushi Zanmai! 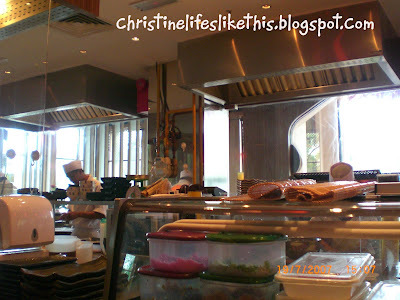 This is a genuine conveyor-belt sushi restaurant, opened not long ago! A-must-try!! *nods confidently* Irrashai masei! I'm greeted by the staff once arrived at this place of undisputed origin. I was amazed again by the exterior of the restaurant, with a class of its own somehow... What's more to offer in the interior? Comfort, secure seats beside the conveyor-belt placed with sushis!! 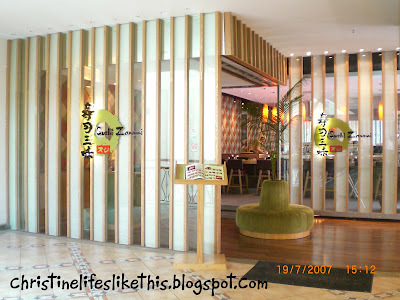 They have this "open kitchen" design, like Dragon-i restaurant :) All sushis are priced from RM1.60 to RM6 only! Cheapo! 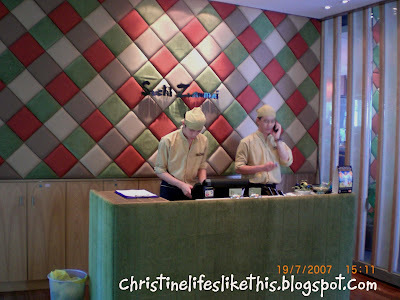 Besides, they offer a variety of Japanese cuisine as well! Their qoutes: Backed by more than 20 years of experience in Japan, Sushi Zanmai possesses extensive expertise for raw materials selection. Genuine ingredients coupled with original recipes, we provide more than 100 assortments of sushi and 100 varieties of cooked food that are authentically Japanese. Grabbed its menu once sitted down to gain access to what should Chris and I be having before our Die Hard 4 movie... The menu's huge! 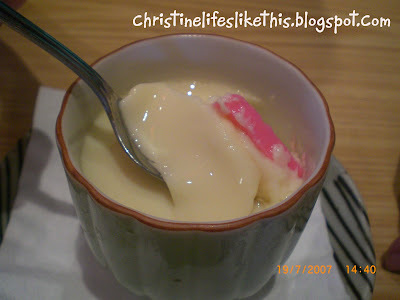 Ordered the Chawanmushi (steamed egg custard) for RM4.80. Served hot, the soft and smooth texture totally captivated my taste bud straight away! Great taste! 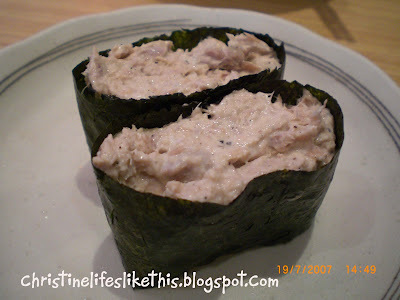 As for sushi, we had the Tuna Salad Sushi @ RM2.80. We didn't had any other sushis on conveyor-belt although we're "eyeing" on them, as our main course had already "bloated" us up! haha! Chris had the Yakiniku Don (grilled beef on rice). He had this for RM10.80, the price for "small" serving. For the larger serving, it'll be RM19.80. 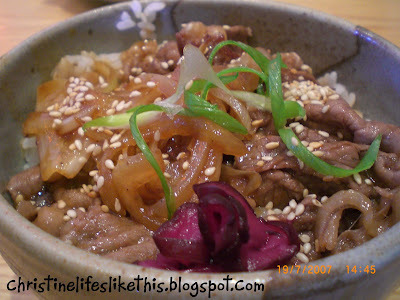 Chris asserted that he has lots of cravings in this Yakiniku Don. Fragrant rice, yummy beefs! 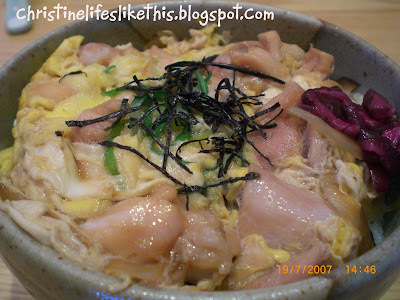 As for me, I had the Oyako Don (simmered chicken with egg on rice). Initially, this gave me a feeling that it'll taste something like the Curry Fried Rice Bibimbab that I had at Sushi Groove before this, but I'm totally wrong. 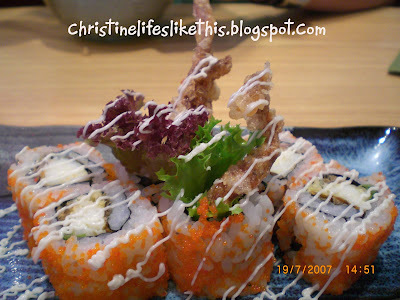 With a different style and taste, this dish tends to lure me for another visit! Priced at RM8.80 for small serving (I had this) and RM15.80 for big serving. Just wanna make sure one thing: Can anyone tell me how does Japanese rice looked like? Are they "short and...what'll I say..fat??" Cuter than our local rice right? Sushi Zanmai serve this type of rice here... I noticed. 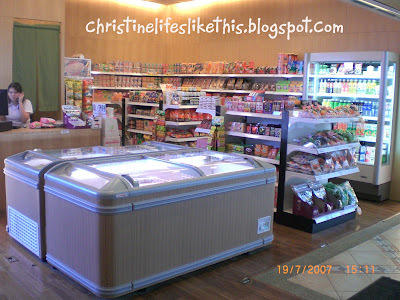 Before leaving, just wanna let you know that there's a shop next to it selling Japanese foodstuffs, drinks and snacks. Convenient eh? 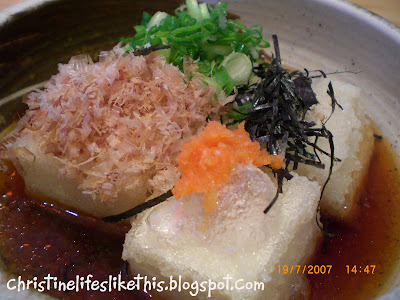 Japanese food lovers! 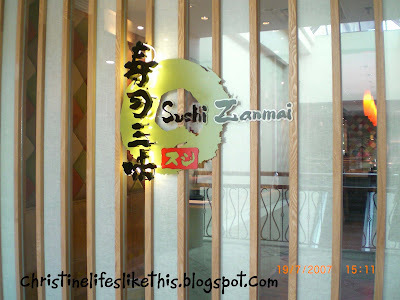 Do give this a try, located just above Kim Gary, and near Zen Japanese Restaurant. 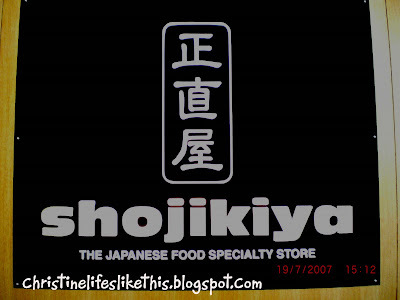 the Japanese food specialty store! and.. my 'Food-tracking' partner, AiWei! Wanna give it a go? I've vouchers!!! 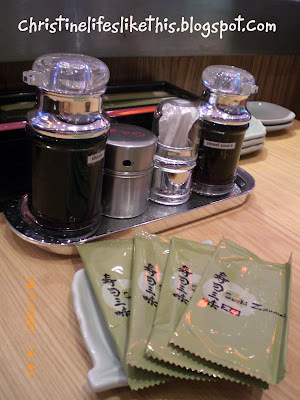 oh boy... jap food always allure my appetize and stomach... saliva dripping in the middle of night now. 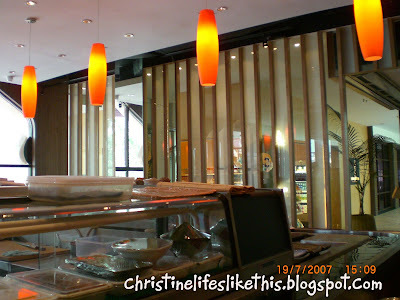 From the looks and the classy ambience of the restaurant, well, dun have to say bout the food first, it is greater than the --- yeah,the-other-jap-restaurant-you-compared. the food even looks attracting! and please when khee comes back, dun go to the 'you-know-where' again. Leng-Leng, i wanna try it. when when when?! i just can't wait now! 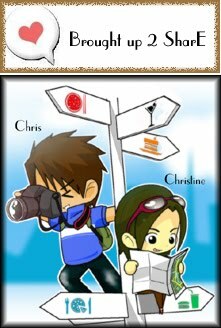 yea..have to change the look cos Chris complained sometimes he can't view my page properly when it's not loaded completely..Find words difficult to read. So, he choses this simpler template for me. hehe... Love the "whites" as well. No doubt this restaurant is better than "well-u-know" haha! I won't suggest the same place.. haiya u know la,when Khee's back. Will try other new places! Come come..voucher's due on 31st July! friday or saturday? don't wanna waste it! haha.. this time must ask our dear "Yen"! Oh looks good. Might wanna check it out this Wednesday. :) Thanks! yea.. everything looks so nice and they tasted good as well! 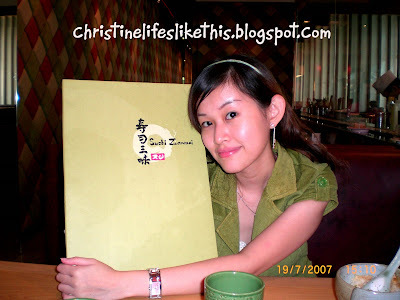 No doubt~ plan to revisit soon when i'm in sunway! Oya..tankiasu~ I can't seem to leave a message on ur chatterbox. why ya?? No ah, all your messages appeared on my chatterbox what. Maybe you can try leaving comments on the individual postings instead? 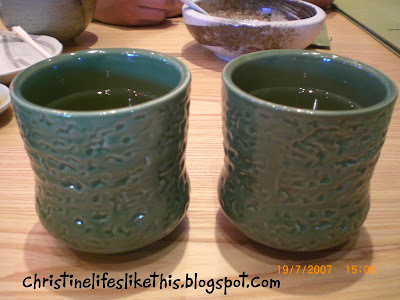 wenching & esiong~ A must try restaurant and specialty store since u're a Jap Food lover! Check this out and tell me what u think k! Best K session @ Neway!